If you live in a city, you may suffer from poor air quality due to pollution. However, if you live in the suburbs or a rural area, air will contain high amounts of pollen. Wherever you live, even if you clean your home often, you’ll be breathing in dust and other particles that can have an impact on your health. With an air purifier, you can remove almost every type of airborne particle from your home. 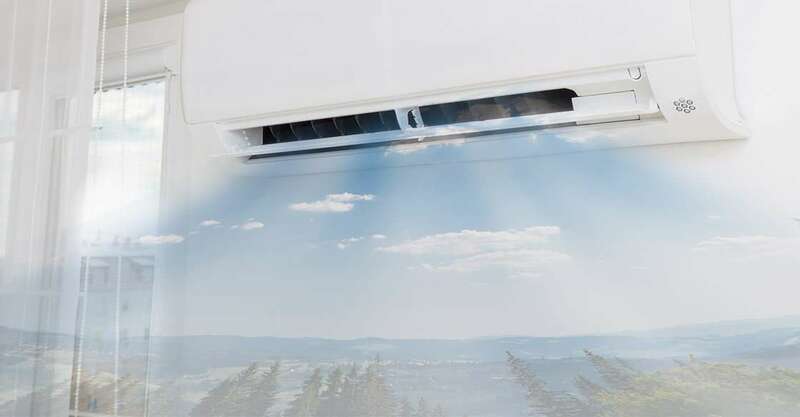 There are a number of air purifier benefits that will mean you want to keep yours running all year round. Hay fever. By removing pollen for the air, you reduce the risk of an asthma attack and prevent irritation of the eyes and nose. Mold allergies. Even with a thorough cleaning it can be difficult to rid your home of mold spores that grow in places like damp areas of the bathroom. Mold can lead to serious lung infections and difficulty breathing. Dust allergies. Dust mites live indoors and can cause skin irritation. If you own a pet, odors, dander, and traces of urine are unavoidable. All these bring bacteria and unpleasant smells into the air. Plus, if your pet ever goes out, bacteria from outdoors enters your home. The situation is worse still if your pet sleeps on the couch or your bed, as skin dander will remain in the fabric of the furniture or in the bed linen. An air purifier removes everything, working continuously to keep your home clean. It is a struggle for people to live together when one is a smoker and another not. Non-smokers are even at risk of lung cancer through passive smoking. An air purifier removes smoke and prevents stale remnants that cling to furniture. No amount of effort can keep your home entirely free from bacteria. Furthermore, whereas you can wipe surfaces, vacuum floors, and wash fabrics, no amount of cleaning can remove bacteria from the air. With a purifier, however, you stop airborne bacteria and viruses like flu spreading from one family member to another. Sometimes, odor problems seem out of your control — such as when you live in an apartment building and the smells of your neighbors’ cooking reach your home. Burning incense and lighting candles can dissipate smells to an extent, but spicy foods and certain vegetables (particularly onion and cabbage) tend to stick around. With an air purifier, you remove odors before they are even perceptible. Make your home a more comfortable place for your family and visitors. After you install an air purifier, you will notice the difference in indoor air quality immediately. ← Is a Ductless Split System Right for Your Home?